What could be better than standing in the late spring or summer sunshine, the wind brushing your face as you hold the ripest, juiciest strawberry you’ve ever seen in your hands? This simple pleasure can be had at several U-Pick farms where you can pick your own fresh, juicy produce. Vacation cuisine can be about more than just ordering at a restaurant. 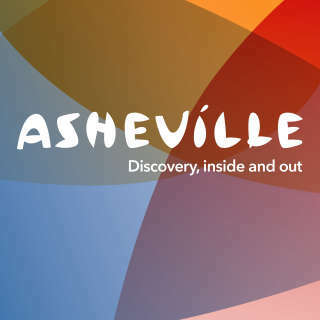 All around Asheville, you’ll find people planting produce delicacies and opening up their farms and gardens to visitors. Many offer “U-pick,” or pick-your-own produce options for those wanting to explore off-the-beaten track spots across the mountains. There, you can see where food it grown, pick some yourself and treat yourself and your family to a unique experience. Give each of these farms a call before you go, grab a cooler to stash your pickings, and head out into the fields this summer for some of the best locally grown produce you can find. Also, because pick-your-own produce options depend on the time of year, weather and crop yields, call to check that your favorite vegetable or fruit is available. Beans n’ Berries: This farm in Connelly Springs offers tours; on-farm produce sales; a wide selection of fruits and vegetables, including Asian pears, persimmons, raspberries, sweet corn and summer squash. Dogwood Hills Farm: This 10-acre farm in Weaverville offers pick-your-own blueberries, blackberries, raspberries, cherries and dozens of apple varieties. The farm also offers a farmhouse for vacation rental. Flying Cloud Farm: This farm in Fairview offerings include farm tours, workshops, freshly cut flowers and fruits such as blackberries, blueberries, cantaloupes, melons and strawberries. Long Branch Environmental Education Center: This center, located in Leicester, offers pick-your-own blueberries and raspberries. 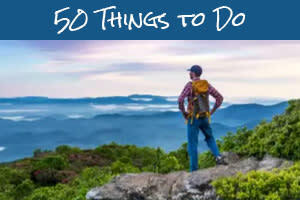 It also features workshops, a trout pond, hiking trails and waterfall and mountain views. Piney Mountain Orchards: Visit this Hendersonville farm for apples, blackberries, blueberries, cherries, corn, nectarines, peaches, squash, strawberries and tomatoes. Sky Top Apple Orchard: The orchard, located in Flat Rock, offers apples for picking. 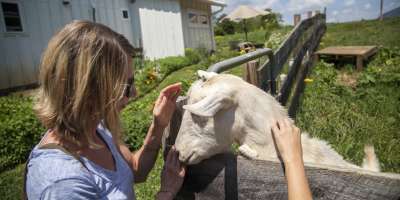 The scenic farm also offers views of the mountains and orchard ponds; a “barnyard” area with sheep, goats, chickens and turkeys; farm tours and hayrides; and picnic areas. Wilkie’s Orchard: Go to this Edneyville farm to pick your own apples. They also offer jellies, jams and crafts. Zimmerman Berry Farm: Picking at this Marshall farm begins in June with black raspberries, followed by blackberries. Blueberries and wineberries ripen in July and red raspberries are available beginning in August. 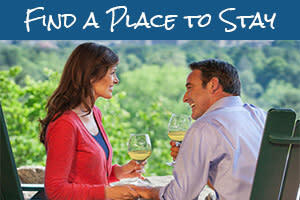 Picnic spots are also available. If you can&apos;t make it to pick your own, try some of the Asheville area&apos;s innovative farm to table restaurants.